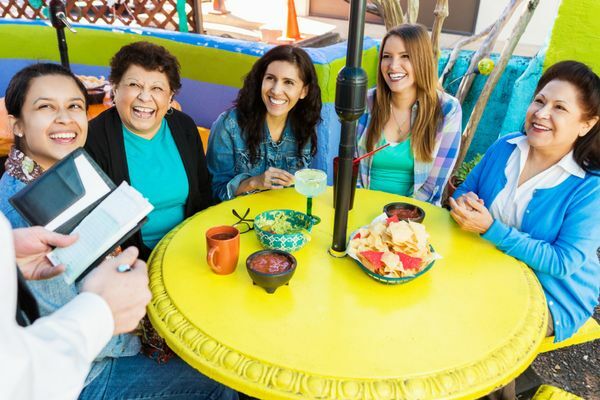 Folks with the Chase Sapphire Preferred card can transfer their Chase Ultimate Rewards points to airline transfer partners like United Airlines and British Airways, for award flights to Mexico and Central America. I’ll show you how to use your points for award flights. And how to earn more points on everyday purchases for more Big Travel! Why Chase Ultimate Rewards Points? Chase Ultimate Rewards points are flexible points that transfer 1:1 to certain airlines and hotels. There are never any transfer fees and most transfers are instant. I also like that Chase Ultimate Rewards points do NOT expire. By transferring to airlines and hotels, you’ll often get much more from your points than if you redeemed them for travel bookings, merchandise, or cash back. Note: Once you transfer your Chase Ultimate rewards points to a travel partner, you can NOT transfer them back. And they become subject to the airline or hotel’s expiration rules. Note that United Airlines doesn’t have many planes that have First Class to these destinations. So your options are mainly coach or Business Class. 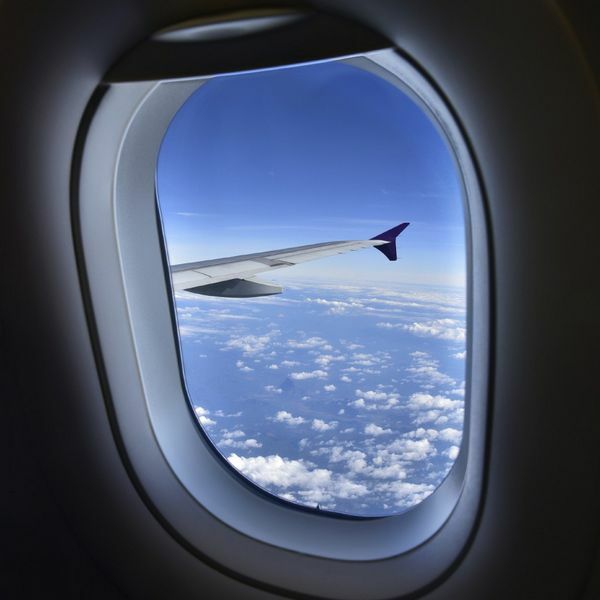 You do NOT have to memorize which airlines fly to the places you want to visit. They’ll show up automatically in the award search! Depending on where you start, you might prefer to use British Airways Avios points to fly on their partner American Airlines. Prices vary based on the route because British Airways has a distance-based award program. So folks in the South who are already closer to Mexico or Central America can get a better deal than with other mileage programs. But, be aware that British Airways charges per flight segment. So if you have to connect, you’ll have to pay for each flight. You can use Wandering Aramean’s Avios calculator tool to see the cost of each flight. It’s always worth checking if you can get a better deal, or a more convenient flight, with British Airways Avios points. Note: British Airways is changing the price of the shortest (under 650 miles) partner flights in North America starting February 3, 2016. 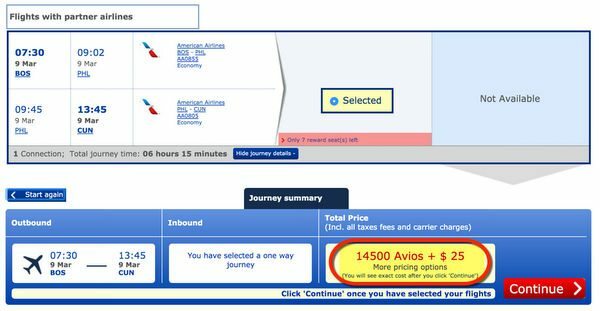 Flights which currently cost 4,500 British Airways Avios points 1-way in coach will cost 7,500 British Airways Avios points after that date. Why Fly on an Airline Partner? And keep in mind, you can use United Airlines miles or British Airways Avios points to book award flights on partner airlines, but you can NOT transfer them to the other airline directly. Southwest now has international flights, including destinations in Mexico and Central America. Southwest Has Destinations in Mexico and Central America, Too! Folks with the Southwest Companion Pass will definitely want to check if Southwest flies to where you want to go, because it’s like getting a 2-for-1 ticket (you only pay the taxes and fees on the 2nd ticket)! Or, you could fly Southwest to or from your destination, and use miles if 1 of the flights is very expensive. And, this is a way to get more flexibility if you can’t find flights on specific dates. Let’s look at a few examples! Folks in Boston can usually get a better deal with United Airlines miles than British Airways Avios points, depending on where you connect and what class of service you want to fly. While it’s worth checking to see how many points you’ll need, in most cases, United Airlines is your best choice. Don’t forget, you’ll soon need more points for short flights with British Airways Avios points starting February 2016. I searched for award flights from Boston to Cancun, and found over 80 options, but all of them have connections. In coach, you have your choice of flight times and connection cities on both United Airlines and Air Canada. Taxes and fees are ~$73, and it doesn’t cost more in cash to fly in Business Class or First Class (although you will pay more in miles). If You Have the Option Between a Saver or Standard Award, Always Pick the Saver Level! It’s the Same Set of Flights, but Costs Much Fewer Miles! And If You See “Mixed Cabin” for Business Class Awards, Always Make Sure the Longer Flight Is in Business Class! And, if you have the choice between a “Saver” award or a “Standard” award for the same class of service, always choose the Saver level. 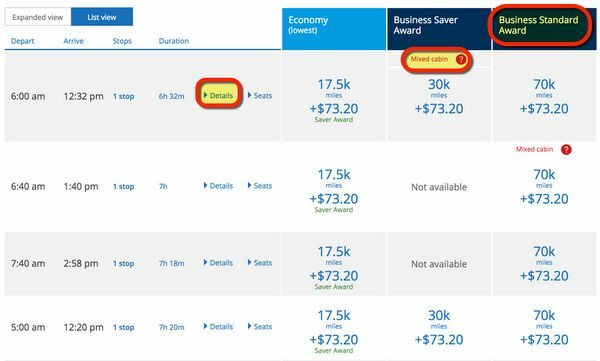 In this example, you’ll pay over double the miles for the same flights if you select “Standard”! Note you’ll only pay 14,500 British Airways Avios points and $25 to fly on American Airlines from Boston to Cancun 1-way, even with a connection in Philadelphia. But this price will increase to 17,500 British Airways Avios points in February 2016 (depending on where you connect), and there aren’t as many flights available as United Airlines. So it’s up to you which choice fits better with your schedule! For the route from Boston to Puerto Vallarta, I could only find award flights on United Airlines with connections. That said, there were ~70 options to choose from, with award seats available nearly every day in March 2016. That’s perfect for a Spring Break vacation! 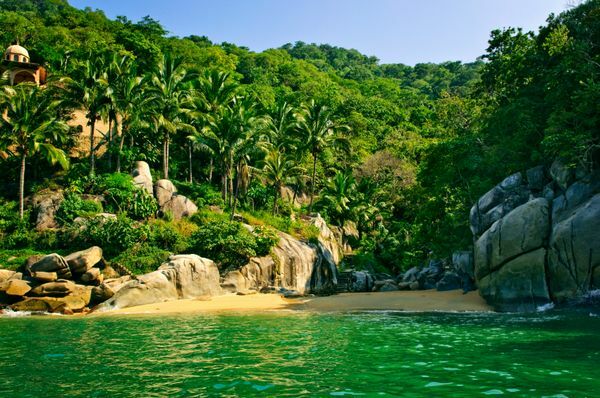 Relax on the Beautiful Pacific Coast Beaches of Mexico. There Are Lots of Award Seat in March 2016 If You Want to Go for Spring Break! But seats are harder to find in April 2016, so this route seems to vary a lot from month to month. I was able to find lots of seats in both coach and Business Class, and you have your pick of flight times! 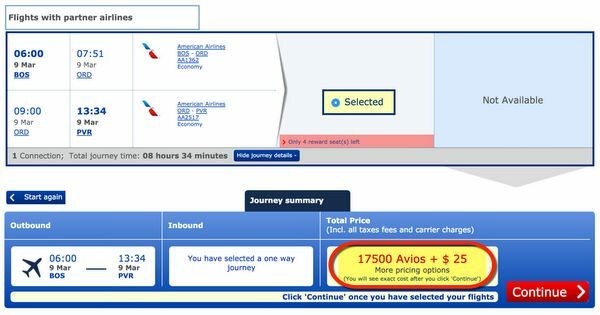 You can also choose to pay 17,500 British Airways Avios points, but again, you may pay more depending on where you connect. And the 1 or 2 flights available per day is nowhere near the ~70 flights United Airlines offers. If you’re going to connect anyway, choose the flights that work best for you. There are lots of available award seats from Boston to San Jose, especially on Copa Airlines, an airline based in Central America. Available award flights are patchy and there doesn’t seem to be a pattern, so you’ll need some flexibility if you want to redeem your miles for this route. Taxes on this route are low, only ~$47 to ~$52 each way, depending on which airline you fly and which country you connect in. For folks in Dallas, British Airways Avios points are the clear winner for flights to Cancun. That’s because you can fly 1-way non-stop in coach for 7,500 British Airways Avios points, or in Business Class for 15,000 British Airways Avios points. So in this case, you’d transfer the Chase Ultimate Rewards points from your Sapphire Preferred to British Airways. For comparison, United Airlines charges 17,500 United Airlines miles each way in coach, and 30,000 United Airlines miles each way in Business Class. And United Airlines doesn’t have any direct flights. I found 6 or 7 flights each day I checked in March 2016, with seats available in coach or Business Class. With the current sign-up bonus on the Chase Sapphire Preferred, you can get 3 round-trip coach flights! Perfect for traveling with friends or family! Puerto Vallarta has the same flying time as Cancun from Dallas, so again, British Airways Avios points are the best option. Prices are the same, though I had a harder time finding available seats – only 1 or 2 days each week had available flights. 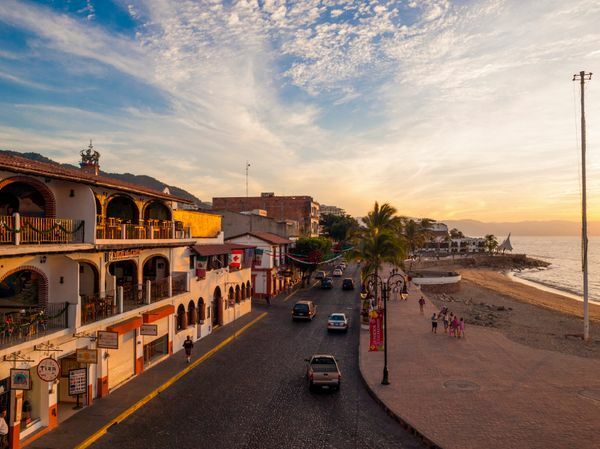 So you might need to be more flexible if Puerto Vallarta is your goal, but it’s well worth it! American Airlines has a non-stop flight from Dallas to San Jose. It’s only 10,000 British Airways Avios points each way in coach, and 20,000 British Airways Avios points each way in Business Class. So it’s a better deal than using United Airlines miles. I only found a few flights each day, but that should be more than enough for a trip to Costa Rica. 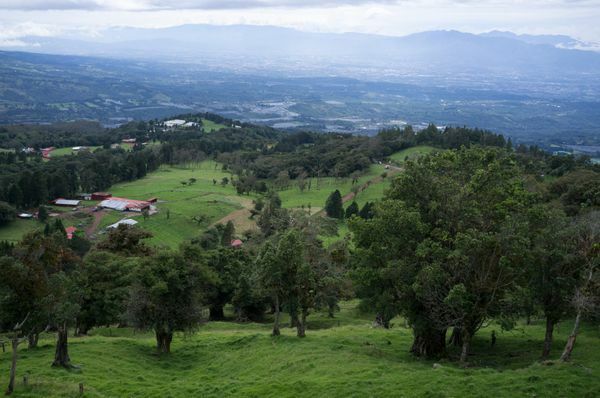 If you’re adventurous, spend your time there on a hike in the mountains, or trying all the delicious local dishes! You can fly direct to Cancun from Phoenix for 10,000 British Airways Avios points each way in coach, or 20,000 British Airways Avios points in Business Class. So it’s better to transfer your Chase Ultimate Rewards points to British Airways instead of United Airlines for a Cancun vacation from Phoenix. 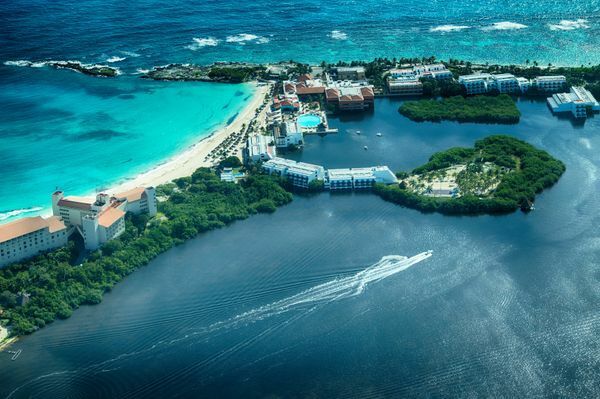 Get Excited About A Trip to Cancun – and Pay Fewer Miles to Get There! There are 2 or 3 flights a day, with seats available in coach and Business Class. And there are usually multiple seats available if you want to bring a friend or family member with you! Puerto Vallarta is an even better deal from Phoenix. That’s because it’s closer, so 1-way flights in coach cost 7,500 British Airways Avios points, and Business Class flights cost 15,000 British Airways Avios points each way. I was able to find a few non-stop flights each day, even during Spring Break in March 2016. San Jose is farther than the Mexican destinations, but it’s still a better deal than United Airlines miles. You’ll pay 12,500 British Airways Avios points each way in coach, and 25,000 British Airways Avios points each way in Business Class. The deal breaker for this route might be the lack of available award seats. When I checked both British Airways and United Airlines, I couldn’t find very many seats. And some days didn’t have any available seats at all. So if you have set dates, check both types of miles to see what’s available before you make a decision. You can currently earn 50,000 Chase Ultimate Rewards points when you sign-up for the Chase Sapphire Preferred and spend $4,000 on purchases within the 1st 3 months of opening your account. And the $95 annual fee is waived for the 1st year! With the Chase Sapphire Preferred card you get 2 Chase Ultimate Rewards points per $1 spent on travel and dining. And 1 Chase Ultimate Rewards point per $1 spent on other purchases. Because this card has NO foreign transaction fees, it’s a great card to travel abroad with, and to use when you try new restaurants in Mexico or Central America. 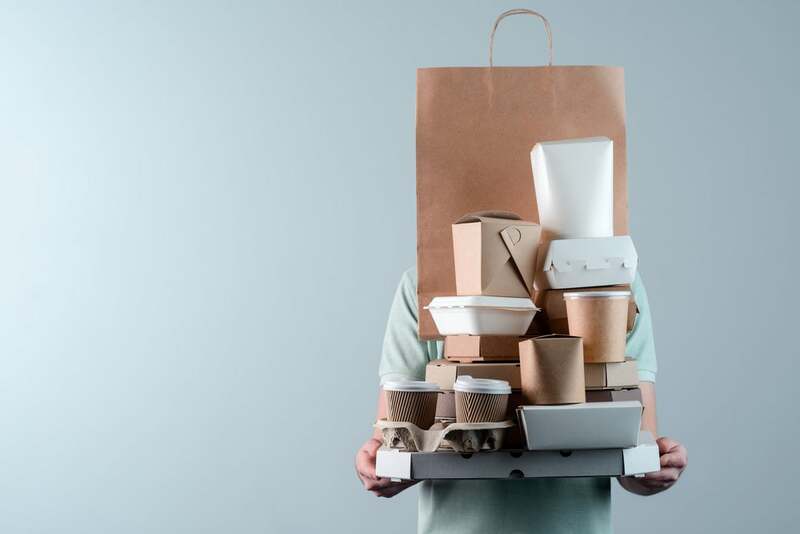 If you love to try new foods, it’s easy to build up your Chase Ultimate Rewards points balance for an award flight or a stay at a Hyatt hotel. Like to Travel? Each $1 Spent on Air Fare, Tolls, Taxi, Public Transportation, and Hotels Earns 2 Chase Ultimate Rewards Points Toward More Adventures! If you have the Chase Ink Cash, Ink Bold, or Chase Ink Plus small business cards, you’ll earn 5X Chase Ultimate Rewards points per $1 you spend (5% cash back) at office supply stores and on cell phone, landline, internet, and cable TV services. And remember you get 2X Chase Ultimate Rewards points using your Ink Cash or Ink Plus at gas stations. Use the Freedom 5X Categories! The Chase Freedom card has rotating quarterly categories that earn 5X Chase Ultimate Rewards points. For instance, you can earn 5X points (5% cash back) at Amazon through December 31, 2015, on up to $1,500 in spending. So you can earn up to 7,500 Chase Ultimate Rewards points each quarter by taking advantage of the rotating 5X bonus. The Ink Plus, Ink Bold (not open to new applicants), Ink Cash, and Freedom cards are all fantastic options for earning more points on your daily purchases. And all of them work well together with the Chase Sapphire Preferred. Note: The Ink Plus has an annual fee of $95. The Ink Cash and Freedom have NO annual fees. If you also have a Chase Ink Plus, Chase Ink Bold, or Chase Sapphire Preferred card, you can transfer Chase Ultimate Rewards points earned from the Chase Ink Cash and Freedom cards to airline and hotel partners like British Airways, Hyatt, and United Airlines! Remember there are lots of ways to get cheap or free hotel rooms with points from credit card bonuses and spending! Folks with Citi Prestige can enjoy their 4th night for free at many hotels! You can use Hyatt points to stay at terrific all-inclusive resorts in Cancun! Hyatt is a Chase Ultimate Rewards transfer partner. 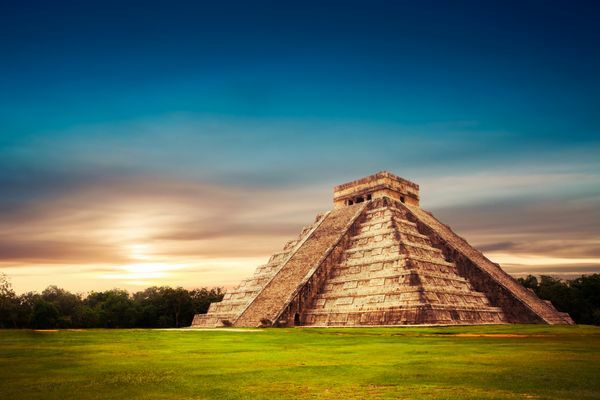 Redeem Hilton Points to Book an Award Stay in Mexico or Central America! 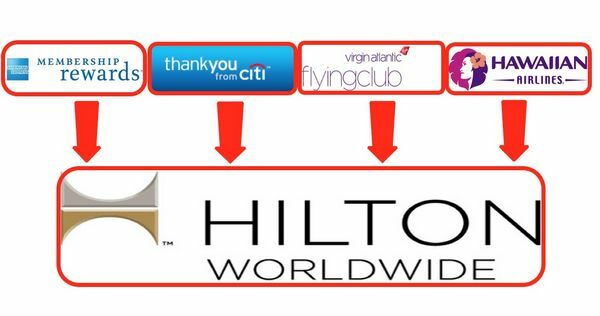 Read my posts on all the ways to earn Hilton and Hyatt points! And here are 5 fantastic Starwood hotels in the Caribbean and Mexico to check out. Note: Folks who want to book paid stays could check out discount sites like Orbitz, Expedia, or TravelPony for deals. But remember you won’t get stay credits or points (and might not have your elite status recognized!). And don’t forget Airbnb is a great way to save money on accommodations, especially for longer stays. 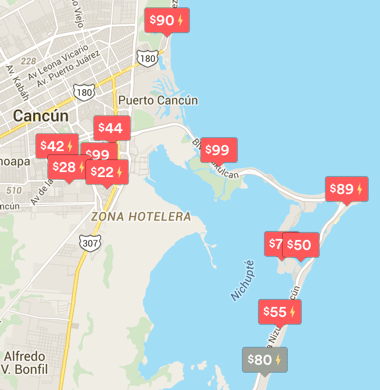 You Can Get Great Deals on Airbnb, Even Near the Hotel Zone in Cancun! I found a home in Cancun near the water for only $80 a night! Here are some tips on how to negotiate a better Airbnb price, and how to find a safe Airbnb where you’ll feel comfortable! The Chase Sapphire Preferred card is fantastic for earning valuable and flexible Chase Ultimate Rewards points, which you can transfer at a 1:1 ratio to airline programs like United Airlines and British Airways for travel to Mexico or Central America. United Airlines miles are better the farther you are from Mexico or Central America because they charge a set amount for travel from anywhere in the mainland US, Canada, or Alaska. And British Airways Avios points are better for shorter flights because you’ll pay based on the distance of the flights you want. Use your Chase Sapphire Preferred to earn 2X Chase Ultimate Rewards points on travel and dining. And take it with you to abroad because it doesn’t have foreign transaction fees! When you pair it with other cards that earn Chase Ultimate Rewards points, like the Chase Ink Cash, Chase Ink Plus, or Chase Freedom, it’s easy to earn even more points on your everyday spending for Big Travel with Small Money. That’s because when you have the Chase Sapphire Preferred (or Ink Bold or Ink Plus) you can combine all your Chase Ultimate Rewards points. And then transfer them to airlines for award flights toward a memorable vacation!